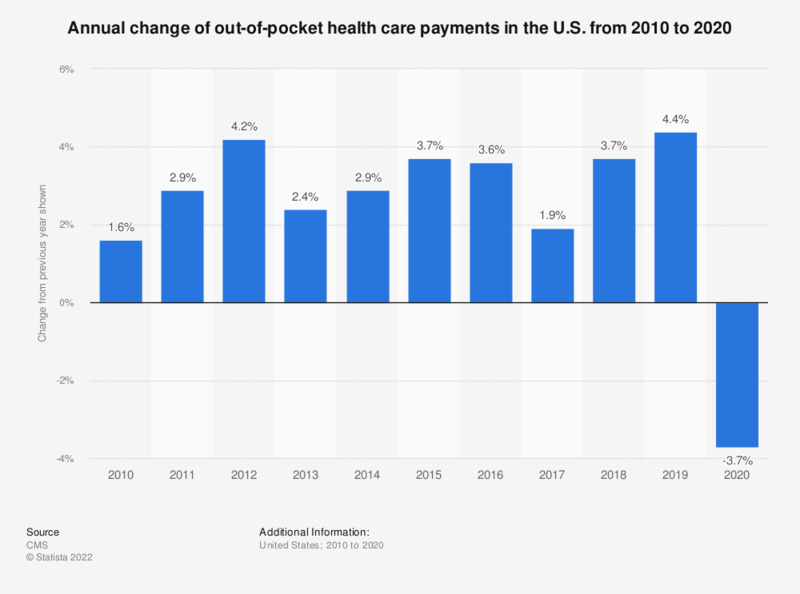 This statistic depicts the annual percent change of out-of-pocket health care payments in the United States from 2011 to 2019. In 2013, U.S. out-of-pocket health care payments were 2.2 percent higher than in the previous year. In the U.S., especially out-of-pocket payments for prescribed drugs can be very high. Annual percent change from previous year shown.